Israel Hayom: After exhausting negotiations, Madonna will appear at the 2019 Eurovision Song Contest in Tel Aviv. The negotiations with the singer began a few months ago and after agreeing in principle parties began to work on the performance of the singer. Later, artistic difficulties were discovered, as the content of one of the songs she intended to perform, apparently the new song, was political, and therefore the European Broadcasting Union refused to approve it. It is unknown, if Madonna is still due to perform the said song. The show, worth more than $ 1 million, will be financed by businessman Sylvain Adams. If there are no schedule changes, Madonna will land in Israel on May 15 and appear in the final of the competition. 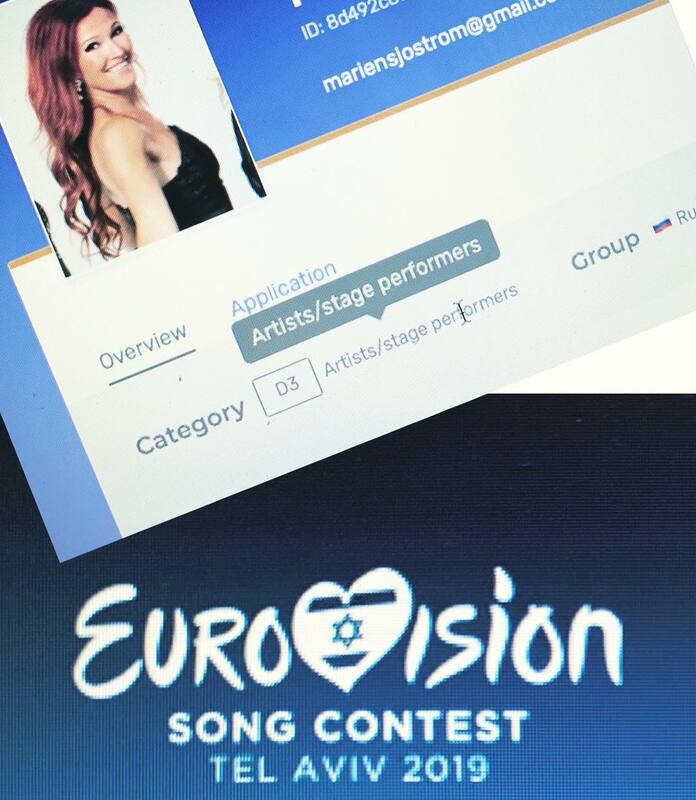 Publication also confirms Eleni Foureira, Conchita Wurst, Måns Zelmerlöw and Verka Serduchka will perform in the show in addition to Israeli winners and acts. In the interview to Israeli broadaster Reshet 13 Russian singer Sergey Lazarev has been asked about his attitude to the LGBT community Eurovision fans. "This is a very frequent question, it is often asked. Basically, of course, there are a lot of rumors, some kind of untruth, they frighten a lot. Eurovision was held in our country in 2009, Eurovision fans also thought how it was to come to Russia. But they came, had fun, ate caviar and moved on.". When asked about the security of the competition in Israel, the singer replied: "Well, you keep telling me this so much, the journalists, so may be it's a time to get worried. Everything will be fine, you have to think positively". Next week, Lithuanian entrant Jurijus goes to Tel Aviv for shooting of his postcard. Head of the delegation Audrius Giržadas has spoken about the preparations for the contest on Labas rytas, Lietuva. "Jurijus works a lot - he sings, rehearsals, works in the gym, he still has his day-to-day work in the IT company, so preparation for the Eurovision need to be coordinated," says Audrius Giržadas. According to Giržadis, Jurijus will not change his stage performance - there will be no dancers or lions on the big stage of Eurovision. "Everything will be as seen at the national final, but more impressive. If everything succeeds as we plan it, the possibilities of the stage will be used to the maximum", - assured Giržadas. Speaking of the leaders who emerged before the competition, Giržadas also distinguished Dutch representative. According to him, Sweden and Russia have a lot of fans as well. "Eurovision fans have received well a very sincere Portuguese song that is completely out of format. It is also highly appreciated. But there are a lot of various fans opinions, and some of the include Jurijus' entry as well"
From now on, the songs of all participants of this year will be presented in every show “Labas rytas, Lietuva”, which was started from Albania. Despite the formal agreement on financing of the security around the Eurovision in Tel Aviv, the government ministries have not yet made a commitment to the police to cover expenses. As a result, the security arrangements for the Eurovision 2019 have been frozen. Despite the agreements already reached with the government ministries, the Ministry of Public Security instructed the police not to begin preparations for the security of the Eurovision Song Contest since government ministries have not yet made a commitment to pay their share. The European Broadcasting Union is concerned and demands solutions. According to them, many delegations participating in the Eurovision Song Contest have already submitted security related queries. The public broadcasting corporation is also furious about the situation: CEO Eldad Koblenz turned to the directors-general of the relevant ministries and made it clear to them that if the police preparations do not begin tomorrow morning, there is a danger that the preparation work will not end on time. "We urgently want to warn that if this work does not begin as early as tomorrow morning, there is a real danger that we will not be able to complete the preparation work on the required date," wrote Koblenz in a letter. "The bosses of the European Broadcasting Union have been updated on the situation and take it very seriously and are concerned that the Israeli government, contrary to its explicit commitment, does not take responsibility for its part in securing the Eurovision Song Contest". "We are asking all the relevant parties to find an immediate solution to the crisis that was created, in order to allow the start of work to take place tomorrow morning and to prevent further damage to the progress of the project. This behavior joins the fact that the corporation was already forced to finance all the costs of the event, despite the promises of official sources in the State of Israel to transfer a budget for the Eurovision Song Contest". Michael Rice, the UK representative for The Eurovision Song Contest 2019 has performed his song ‘Bigger Than Us’ on Zvijezde pjevaju on HRT1 in Croatia last Saturday night. Zvijezde pjevaju is an entertainment show that was also known as Just The Two of Us in the UK, hosted by Tess Daly and Vernon Kay on BBC One in 2006. This was the first time Michael has performed ‘Bigger Than Us’ since winning Eurovision: You Decide the public selection show in February. Michael said "I'm so excited to be performing on Croatian TV, with my first performance of ‘Bigger Than Us’ since Eurovision: You Decide. I’ve been working so hard in rehearsals to make sure I give it my all on stage, for all of my amazing Croatian fans. I’m really looking forward to be meeting Roko for the first time I think he is an amazing artist and performer and his song is fantastic!" Andrew Cartmell, executive producer and Head of Delegation for the UK says: "We're really excited that in the run up to Tel Aviv, Michael Rice will be travelling around Europe to promote Bigger Than Us. Michael will be attending even more Eurovision Pre-Parties this year promoting the song in London, Amsterdam, Madrid and Moscow, and his appearance on HRT1 in Croatia this weekend will be followed by other TV and radio appearances in UK and in continental Europe. We’re really proud of the song and the whole team is super excited to get the song heard by as many people as possible before Michael takes to the stage in Israel"
'Miki and friends': RTVE.es prepares a great party to honor the Spanish Eurovision 2019 entrant. He will share the stage with 'La Pegatina', 'Taburete', Sofía Ellar, 'Arnau Griso' and his own band 'Dalton Bang'. Alfred, the representative of 2018, will also sing with Miki at this party. 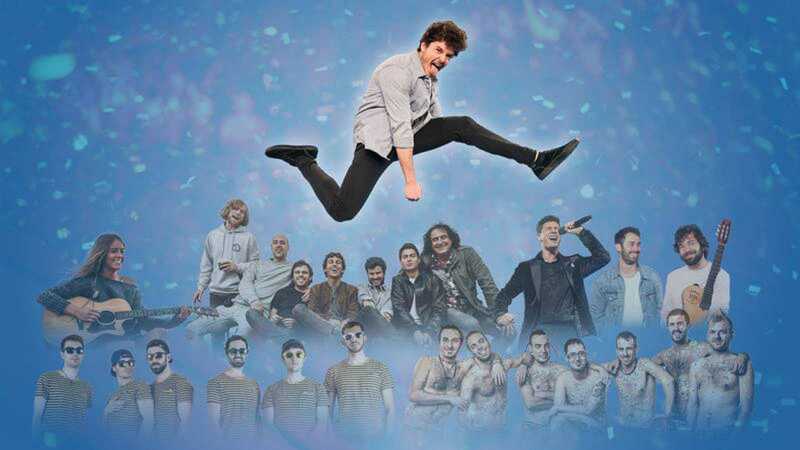 A concert, that will be broadcast in May on RTVE.es, will mix the most successful Spanish current pop with genres such as ska, rumba, charanga and singer-songwriter music. Interested fans can get tickets to the concert in Torrespaña next Monday, April 8 from 10 am to 2 pm. and from 4 to 8 pm. The recording of the concert will be in Prado del Rey, on Wednesday, April 10 from 3:30 pm to 8:30 pm. Today it became known what improvement of the presentation of the votes, previously mentioned by the head of the Czech delegation, Jan Bors, will be applied at the Eurovision 2019. After the end of the announcement of the juries' voting results, the presenters will begin to announce the results of the public’s voting from the country that finished the last, 26th in the combined results of the juries vote. Then they will proceed by announcing points received from the public by the country finishing 25th in the jury vote and so on. Thus, the announcement of the results of the public's voting will end with the announcement of points received by the country that has earlier became the winner of the jury vote. This information was confirmed by the European Broadcasting Union. Marie Nordmark Sjöström is the latest addition to Sergey Lazarev's backing vocal team for the Eurovision 2019. Marie isn't a newcomer in the competition - in 2017 together with Jennie Jahns she was involved in the performance of Azerbaijan. Also together with Jennie she performed in the Melodifestivalen providing backing vocals for Owe Thornqvist. In the interview to Srugim website Culture Minister of Israel Miri Regev has attacked the Eurovision producers for the absence of Judea and Samaria from the postcards. Judea and Samaria Area is the Israeli government term for the administrative division encompassing West Bank region. "I'm not going to give up on this, Judea and Samaria are part of Israel and we will not hide it, just because it's not on the agenda of those who run The Eurovision Song Contest"
"We are pleased that the postcards are of great interest and are sure that they will give expression and a global perspective to the variety of sites in Israel. The Eurovision Song Contest is not a political event in any way". Miki will sing "La venda" just before the "blackout" of 'The Earth Hour". The representative of Spain will perform in the Plaza de Oriente to raise awareness about climate change. Once again RTVE joins The Earth Hour , the initiative for sustainable consumption , energy saving and climate change in which millions of citizens, governments, institutions and organizations around the world will participate. 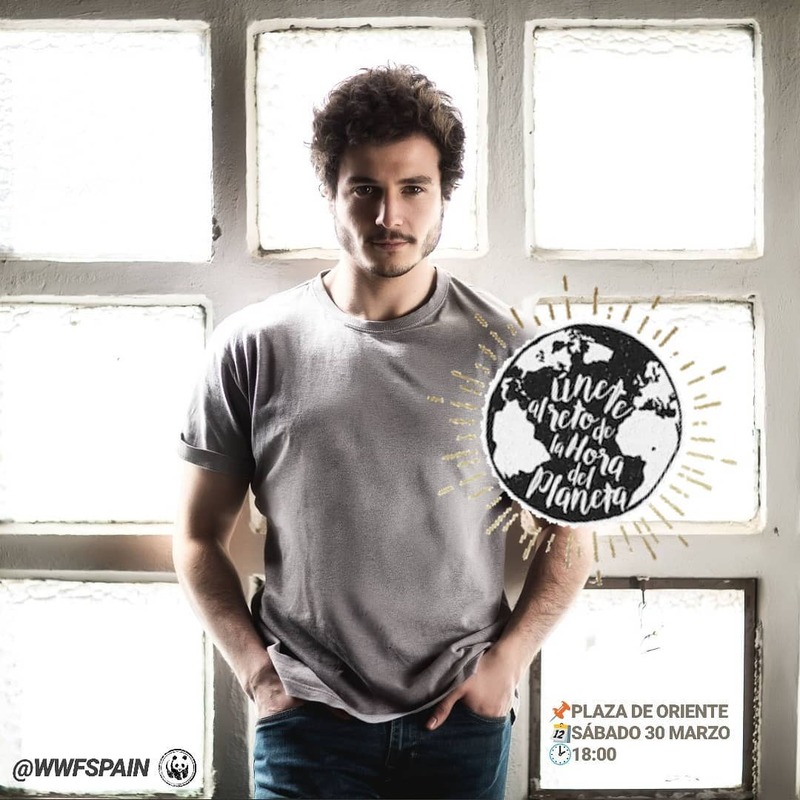 On this occasion, Miki Núñez, representative of Spain at Eurovision 2019 , will be the ambassador of the broadcaster and will sing "La venda" in the concert prior to the shutdown, which WWF calls this Saturday at the Plaza de Oriente in Madrid, between 20:30 and 21.30. The event in favor of the environment will be conducted by Tony Aguilar, commentator of Eurovision 2019. RTVE, in addition to turning off light in headquarters in Madrid and Barcelona, ​​reinforces the action with an awareness campaign that is launched starting tomorrow and which demands that "we be responsible with the use of plastic". 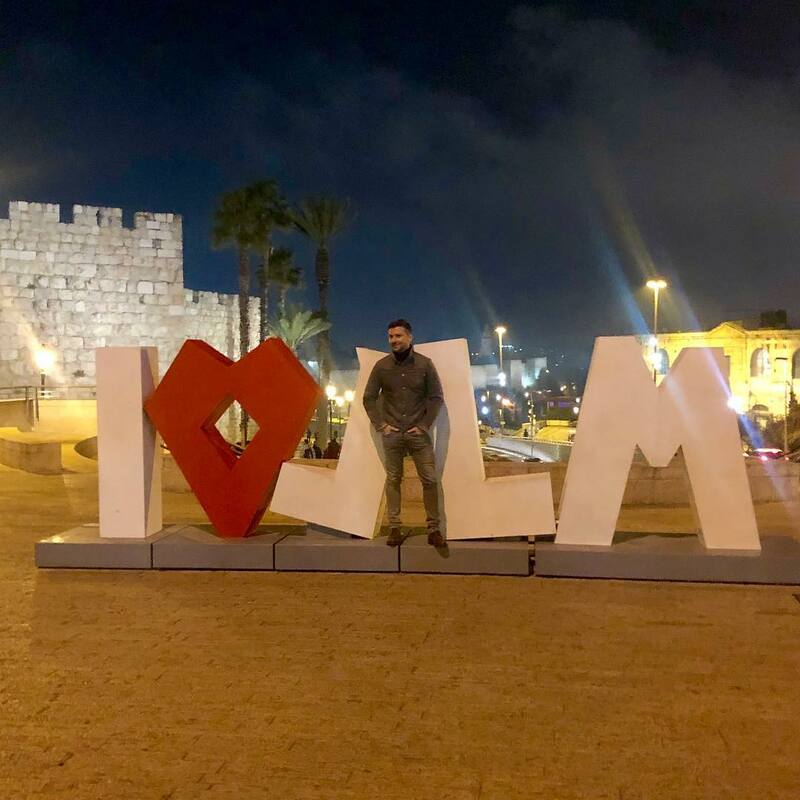 Singer Sergei Lazarev, who will represent Russia at the Eurovision Song Contest in Israel, came to Jerusalem to film his postcard. "Friends, we are filming postcard for the Eurovision ... We film it in a certain place, here in Jerusalem. I can’t disclose anything yet, I can’t open the veil of secrets, but it will be cool," the artist said in his Instagram. It is known that the filming of four participants of the contest, including the representative of Israel Kobi Marimi and the representative of Russia Sergey Lazarev, will take place in notable places in Jerusalem. 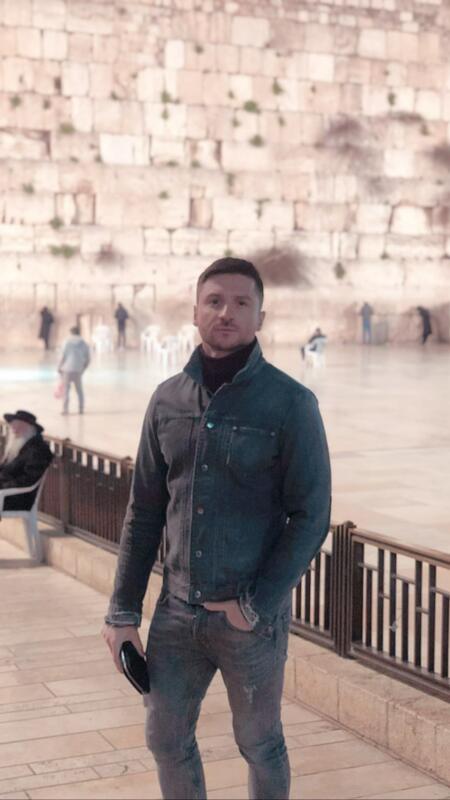 So, shooting of Marimi is due to take place next to the Western Wall, and the work on the video of Sergey Lazarev, most likely takes place in the historic Old City. According to Eurovision Fun, an unpleasant incident occurred during the shooting of Sergey Lazarev's postcard, which led to a temporary suspension of filming. An Israeli stuntman who acted as Sergey's double in some dangerous stunts, was injured. On April 1st, Russian representative will perform in Athens as part of the Madwalk fashion music show. Russian performer will not take part in the Eurovision pre-contest promotion parties. As was predicted by TheMarker sources three days ago, an arrangement for the financing of security around the Eurovision Song Contest was finally reached, albeit in half of the original esitmate of needs. It was decided that the broadcasting corporation itself, together with four government ministries, would bear the costs of securing the event in May in Tel Aviv, and transfer NIS 1.5 million each. The European Broadcasting Union is opposed to the corporation's participation in security arrangements, and intends to appeal to the Prime minister. Following a letter sent by the Director General of the Ministry of Communications, Nati Cohen, to the CEO of the public broadcasting corporation KAN Eldad Koblenz, it was decided that the Ministries of Tourism, Internal Security, Communications and Finance will bear the costs of securing the Eurovision Song Contest. The letter also stated that the decision was approved by the Director General of the Prime Minister's Office, Yoav Horowitz, and that the total security costs, as indicated in the letter, were NIS 7.5 million. Despite reaching the financing agreement, Koblenz made it clear that the solution was problematic. "We received a clear and decisive message from the European Broadcasting Union (EBU) that it strongly opposes the participation of KAN in funding the security outside the hall," he wrote in a response to the Director General of the Ministry of Tourism. "It was made clear to us that they intend to approach the Prime minister on this matter in the coming days. " The CEO of the Public Broadcasting Corporation added that he complains that, in addition to the NIS 10 million security costs the corporation has taken upon itself for the security of the contest venue, "we do not accept the fact that we are forced to bear the costs of police and other security forces for external security activity." The estimated cost of securing the events outside the main concert hall is NIS 13 million, NIS 9.1 million for security costs throughout the Eurovision Song Contest week, and NIS 4.3 million for security in the Eurovillage complex. It is unknown if financing the operations in just a half will bring need to cancel some of the planned events. There is no public transportation on Shabbat in Tel Aviv? The Tel Aviv municipality will help Eurovision tourists ride a scooter. The municipality asked the operators of the scooter rentals to offer special tariffs for the days of the contest from 12 to 18 May. "The organization of the Eurovision in Tel Aviv is a challenge and one of the main issues is the management of transportation," said Meital Lehavi, deputy mayor of Tel Aviv for traffic and safety. "Tens of thousands of guests will have to move at the end of the show. We turned to all the parties to create cooperation and solutions. 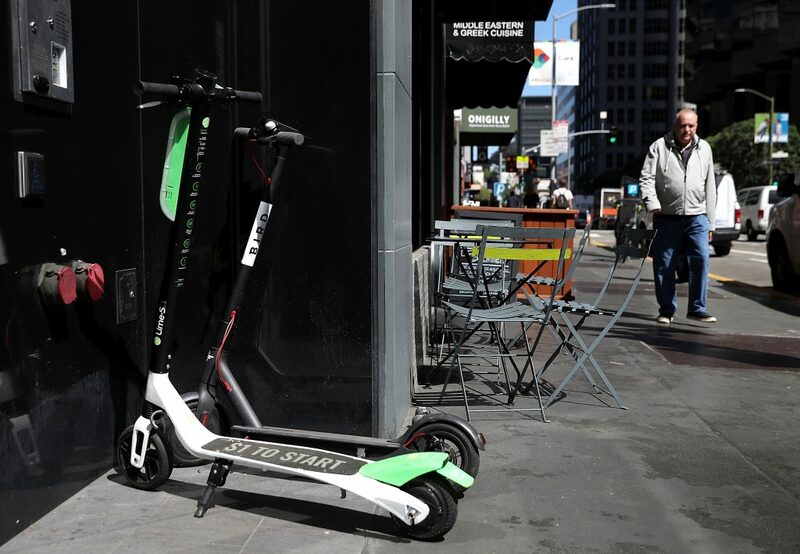 We aim to assist and promote initiatives for the increased operation of personal vehicles in conjunction with the city's scooter and bicycle companies, including the provision of regulated parking spaces and charging stands. We need to initiate and promote solutions that will ensure that no guest gets stuck without mobility at the end of the show. At the same time, we have asked the Transportation Ministry to increase public transportation on weekdays." Three Eurovision winners will perform in Tel Aviv as part of the "White Night" event on 16 May: Anne Marie David, Loreen and Carola. They will be joined on stage by Orna Datz, who will perform two Israeli Eurovision songs A-Ba-Ni-Bi and Hallelujah and a joint song in Hebrew with Carola. The concert will start at 20:00 before the broadcast of the semifinal, reports Walla. 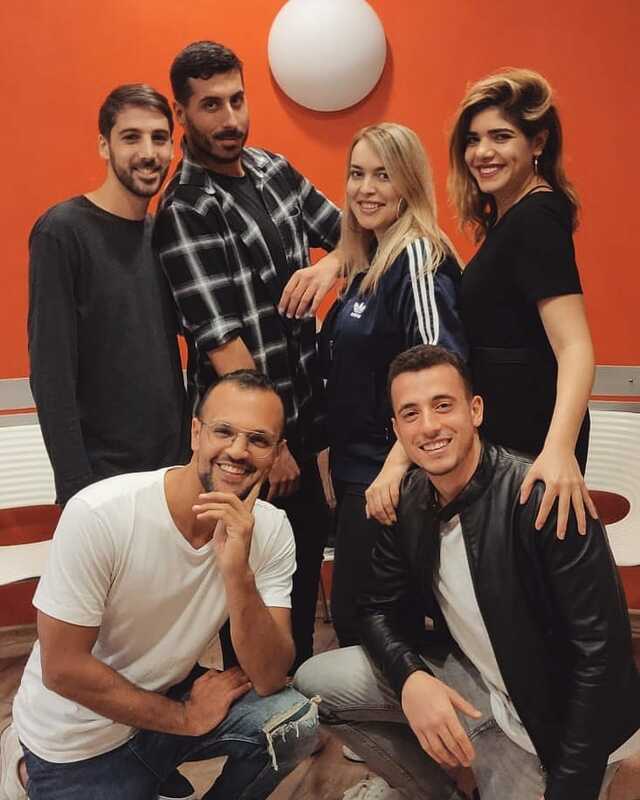 Meanwhile, Israel Hayom reports that Ilanit, Nadav Guedj, as well as the winners Dana International , Gali Atari, Yizhar Cohen and Netta Barzilai will all make appearance in the opening act of the Eurovision 2019 final. Finalists of the AfriMusic Song Contest 2019 have been revealed. This year, contestants from 16 African Countries across the Continent submitted entries for the 2019 instalment of the AfriMusic Song Contest. The entries phase ended on the 17th February 2019 and the Regional Selections voting run from 11 to 25 March 2019. The organisers of the contest said that they had received an overwhelming amount of votes, that showed amazing support towards the talented artists and the contest as a whole. After 2 weeks of General Public online voting and scores received from the AfriMusic judging panel, the Regional Selection votes are in and the AfriMusic Song Contest organisers have announced the Top 20 Finalists for the 2019 instalment of the contest. Ghana is in the lead with 5 artists having made it through to the finals from a list of 16 songs that competed in the National Selections. Followed closely 4 South African songs made it through to the finals phase, 3 songs from Nigeria and 2 songs from the Kingdom of eSwatini. 1 song from Malawi, Rwanda and Mozambique are representing their countries in the most anticipated music competition platform in Africa. The contest is proud to present a powerful Top 20 list of songs and artists. Who will take the trophy home? Republic of the Congo, Senegal and South Sudan have sadly been eliminated from the contest, as their representing artists did not score high enough to make it into the contest finals. Singer from Côte d'Ivoire DS Cynthia becomes the first returning artist of the AfriMusic: she has competed in 2018 as part of the project CCI Studio Orchestre Meets DS Cynthia, Fabému, Masta Ricky & Papson D.C. The Top 20 contestants were selected by a ranking voting system, where each country contestant is awarded two sets of 12, 10, 8-1 points. 50% of the votes were cast by the AfriMusic professional judging panel and the other 50% from general public online voting, available on the contest website. Both the scores were combined and divided on a 50/50 method, where a final overall score would then be calculated. The contestants with the most overall points per region, were put through to the AfriMusic Song Contest Finals. This voting system is much like that of the Eurovision Song Contest and has been in place for the AfriMusic Song Contest, since their first participating year in 2017 – 2018. West Africa had their top 10 contestants selected, Central and East Africa had their top 2 contestants selected and Southern African Region had their top 8 contestants selected. These selections were allocated based on the number of contestants participating in each region, offering a fair allocation of participation to all. Voting for the AfriMusic Song Contest Finals, open at 09h00 GMT on Friday 29th March 2019 and continue until midnight GMT on 12th April 2019. The voting limit per person has been capped at 250 votes per day and voters will need to register their details ahead, in order to ensure voting is kept fair and bots are prevented from manipulating the voting process. To vote for your favourite song visit the AfriMusic Song Contest website www.afrimusicsongcontest.com. "We would like to congratulate each individual artist for sharing their talent with the rest of Africa and the globe, through our AfriMusic Song Contest platform. We are immensely proud of the talent, hard work and perseverance of each individual artist. We wish to positively influence and unify Africa as a whole and encourage artists from all walks of life to put forward their art. Those that did not make the final cut should not be discouraged as their talent has been noticed and the interaction on our social media platforms is a true reflection of how far their work can reach. We also wish to encourage that they continue to persevere and try again. If this contest has proven anything, it has proven the calibre of untapped talent in Africa, that just needed a platform to showcase their abilities. We are excited to see the results following the finals and who the next AfriMusic Song Contest winner will be," – said Suzie Vicente, Business Development Director of the AfriMusic Song Contest. The AfriMusic Song Contest is the largest music competition platform in Africa, creating equal opportunities for emerging musical talent from all countries of the continent. The AfriMusic Song Contest is geared to educate, empower and enable untapped songwriters, composers and singers across Africa, by constructing a positive and confident image of Africa in unity through music, across the continent and on an international stage. Aspiring Africans eager to showcase their talents and represent their country with their musical endeavours, have been given an opportunity to enter and put their songs forward. In 2018, Symphony from the Kingdom of eSwatini took the first big win with her song Sengikhona and the contest organisers are very excited to see which artist and country will take the title in 2019 AfriMusic awarded Symphony with a trip to Lisbon Portugal in 2018, where she got to perform at the Eurovision Village in front of 20,000 spectators and the performance broadcast live to 186 million viewers on RTP, the public service broadcasting organization of Portugal. "The trip was a huge success and to have seen the support that the AfriMusic Song Contest received and more importantly, the love shown to our winning artist Symphony, was everything we could have hoped for and more. It is a true reflection of the hard work the organisers and artists put in and how we as Africans are hungry for the opportunity to change lives of untapped talent in Africa," said Managing Director of the AfriMusic Song Contest Michelle Fernandes. KAN has published interview with Portuguese entrant Conan Osíris, who is currently in Israel to film his postcard. "In my song Telemóveis I sing that I broke my cell phone trying to call up to heaven, just to see if 'saudade' (which is specific Portuguese word that means something like 'longing' that you fell for someone) is still there - at the end of story I say I know that 'saudade' is dead, and it was me who shot the arrow"
"I see a lot of reactions people feel the emotion way before they translate the lyrics. So if they feel they feeling that I wanted to pass on the song, it's perfect"
Asked on his reaction to a possible siren in Tel Aviv, Osíris says "I'm not a news guy, I don't even own television at home", and Head of Delegation Carla Bugalho adds that nobody in the hotel has instructed them how to behave in such a case, and in fact they hear it for the first time from the reporter. On the Roger Waters' letter musician answers only "It's what you see. Everybody has their content, right?". 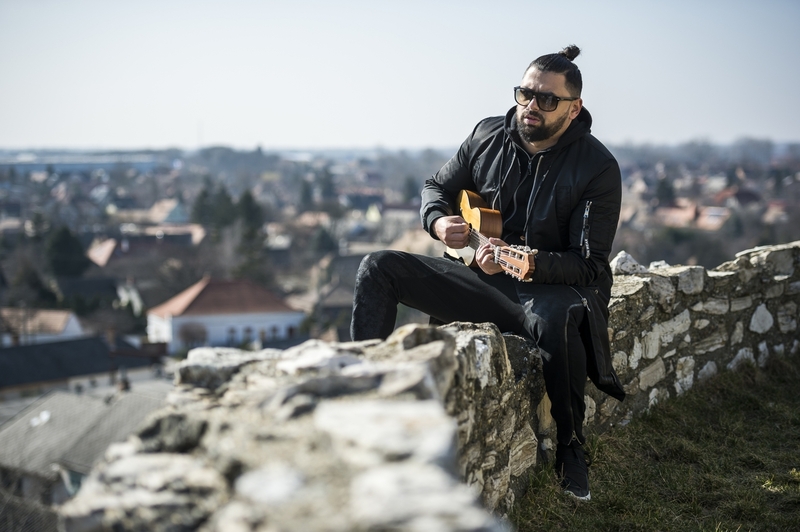 Pápai Joci won A DAL 2019 with his song "Az én apám" (My Father), which is about a very personal and profound relationship between Joci and his father. This father-child relationship is planned to be reflected on the Eurovision stage and for this your help is needed. Please send one or more photos of your dads that you can give permission to be used in the stage performance and other uses associated with A Dal program. You should only include your dad in the picture. Of course, dads can also apply themselves, feel free to send a photo of yourself if you're a dad! - if you have not yet reached the age of 18, your legal representative needs to sign it. MTVA will contact the posters of the selected photos by e-mail to conclude a contract for the use. Despite the security escalation, the preparations for the Eurovision Song Contest in Israel are continuing. The Broadcasting Corporation KAN said that "the security of the delegations is at the top of our priorities." The EBU refused to answer what would happen to the competition in the event of a deterioration in the security situation. On Monday morning, a rocket was fired from the Gaza Strip and directly hit a house in Moshav Mishmeret in the Sharon region, some 17 km away from the contest venue. Seven people were lightly to moderately injured. The European Broadcasting Union (EBU) announced that plans for the Eurovision Song Contest in Israel on May 18 in Tel Aviv are continuing as usual despite the security escalation. "Safety and security is always of paramount importance for the EBU. We continue to work alongside KAN and the appropriate Israeli authorities to safeguard the well-being of everyone preparing for and attending the Eurovision Song Contest in May. We will continue to closely monitor the current situation in Israel." EBU has refused to answer questions of "Haaretz" on what will happen to the competition in the event of deterioration of the security situation during the event week. In addition, the union refrained from responding to what would happen in a situation in which delegations from various countries would seek to avoid coming to Israel because of a precarious security situation. Another question that remains open and should concern the corporation is what insurance covers competition should it be cancelled at the last minute. The statement said preparations for the event are underway and that only a security incident such as war or a large-scale military operation would prevent the contest from taking place. Eurovision producers are currently preparing for the event. The works at Pavilion 2 in the exhibition grounds, where the show will take place, have already begun. The work at Pavilion 1, which will serve as Green Room, should begin shortly. In addition, delegations from different countries come to Israel one by one, shooting "postcards". KAN told the Jerusalem Post that it is "in constant contact with the EBU and the delegations currently in Israel to film their postcards. Their safety is our highest priority, and they have been briefed on the situation," a spokesman said. "Currently there are no changes in their production schedules." An Israeli communications consultant involved in organizing the postcard filming visits said that the delegations "have no concerns, everything is proceeding as usual." At the time of the rocket strike Monday morning, Michael Rice, the singer from Britain; Keiino, the band from Norway; and D-Moll, the group from Montenegro, were all in Israel. Macedonia's representative, Tamara Todevska, set out for Israel several hours after the rocket attack, and landed Monday. On Tuesday the Portuguese contestant, Conan Osiris, is supposed to arrive, and Thursday should see the arrival of Russia’s Sergey Lazarev. Several delegations were also in Israel during the rocket siren that sounded in Tel Aviv earlier this month. KAN has also confirmed the territories of Judea and Samaria were not included in the postcards: "The Eurovision Song Contest is not a political event. The choice of locations for postcards was made solely for artistic reasons and not for political considerations. The choice of locations is a desire to give 200 million viewers a glimpse of the country's beautiful landscapes," postcards producer Shmuel Ben Shalom said. French postcard was filmed at the Tel Aviv Museum, Spanish one was filmed at Haifa, including at the Sami Ofer stadium and the Carmelit (underground funicular railway); Georgian in Acre; British in the Baha'i Gardens in Haifa; San Marino on a solar power station in Negev desert; Belgium at the Makhtesh Ramon - world's largest erosion crater; The Czech Republic in Caesarea; Cyprus in Eilat; Ireland at Kibbutz Eilot; the Netherlands on Mount Arbel, the Swiss delegation at the Habimah Square in Tel Aviv. In Jerusalem, Kobi Merimi, who represents Israel, will be filmed accompanied by a dance by Anna Aronov. Check interview of Michael Rice to the Israeli host broadcaster KAN 11. Rice says that British public is usually very critical to their own entries, but "I feel now that UK people have actually seen the song that is going to the Eurovision, they got behind and support me". "It's crazy, because in UK we've got Adele, The Beatles, Sam Smith, and because we didn't won for so long thus they want it even more, so it's just to prove a point - people we still can do it, we have a good song, so fingers crossed". Asked about boycott protests, Rice responded: "Eurovision is purely music, and it's not about politics and everything what's going on, I'm really one to stand, I'm just a singer, representing, to do my country proud". 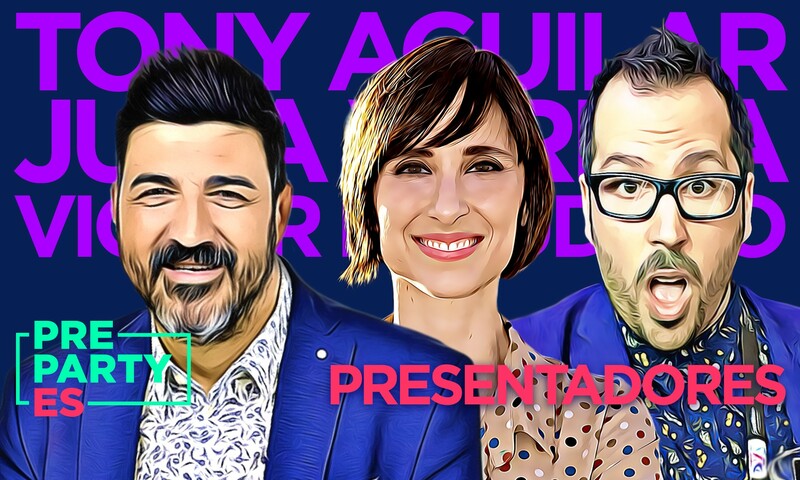 Radio presenter Tony Aguilar and RTVE journalist Julia Varela will be commentators of the Eurovision 2019 for Spanish broadcaster RTVE for the second year (for Julia it will be the fifth edition in total) As an advisor to the commentators, will once again work Víctor Escudero. The trio were also announced today as hosts of the Eurovision-Spain Preparty. Tony and Julia will host the main show and Victor with Israeli singer Imri - welcome show on Friday. Model and presenter Nieves Álvarez will remain the Spanish spokesperson for third year in a row. Hot potato: Who will pay for the Eurovision Song Contest? Despite the Prime Minister's explicit promises, there is still no source of funding for the security arrangements around the event, reports TheMarker. Almost a year has passed since the Giro d'Italia, the largest international event ever held in Israel, following the contribution of philanthropist Silvan Adams along with Israeli supermodel Daniel Benaim. Exactly one week later, Netta Barzilai took the first place in the Eurovision Song Contest, bringing Israel a lot of honor, alongside the privilege of hosting the Eurovision Song Contest 2019. In contrast to Giro, which got a particularly favorable embrace from the government, the Eurovision Song Contest has become a hot potato that no government official wants to hold. This is despite the fact that after Barzilai's success, it was promised that the state would provide funding to produce the contest in Israel. But at a certain stage everyone took a step back, and now the broadcasting corporation KAN and the Tel Aviv municipality are left to handle all the costs. The Tel Aviv Municipality has predicted that the budget for the Eurovision Song Contest will amount to NIS 20 million, but now they understand that it will reach NIS 30 million, when only the production of the Eurovillage is expected to cost NIS 4-5 million (of which NIS 2 million will be returned to the municipality by the sponsors). Public broadcasting corporation KAN was promised by the Government about 110 million ($30.4 million), out of the total Eurovision budget that will amount to 150 million, of which 40 million were to be financed by the corportation itself. However, as part of its commitment to the EBU, the corporation was already forced to pay a guarantee of NIS 50 million, which was paid in light of the state's promises to finance most of the cost of producing the event. In practice, the help provided by the state is a loan of NIS 70 million to the corporation, for 15 years, to be added to 50 million shekels to be paid by the corporation itself and all this comes at the expense of Israeli creation and reduction of original programs. About NIS 20 million of the sum is expected to be returned by selling tickets - which explains their high price - and the sale of broadcasting rights from the European Broadcasting Union and sponsorships. Now, about a month and a half before the competition, it seems that the Prime Minister's Office and other government ministries are doing their best to ignore the event, or at least not to be involved officially. For now, none of them is willing to contribute their budget, and all of them place the responsibility on another ministry or on KAN - as if this was just the regular TV event to be held at the Tel Aviv Expo. A crucial issue such as securing the public spaces outside the Expo hall where the contest will take place remains so far without a financial solution. The responsibility for securing the event inside the hall itself lies with KAN, which imposed the duty on the production company of the event - which itself has decided to split the issue between three security companies, at a total cost of NIS 12 million. On the other hand, achieving the budget for securing the public spaces is one of the main problems KAN and the Tel Aviv municipality are facing. The estimated cost is NIS 13 million, NIS 9.1 million for security costs throughout the Eurovision Song Contest week, and NIS 4.3 million for security in the Eurovillage complex. Along the decision to host the Eurovision Song Contest in Israel, Prime Minister Benjamin Netanyahu promised the European Broadcasting Union that the security aspects would be the responsibility of the state and not of the broadcasting organization. However, a month and a half before the competition, it was not yet decided who would bear the security costs. Question submitted by TheMarker last week resulted in a round robin of passing the buck from one government ministry to another. The Ministry of Public Security says that "As with any commercial event, security costs are borne by the organizers, who knew very well in advance that there were security and policing costs and were supposed to take this into consideration. The ministry and the police are unable to fully or partially fund security costs for events of commercial or private entities." The Ministry of Culture and Sport stated that the issue of the Eurovision Song Contest is the responsibility of the Ministry of Communications. The Finance Ministry said that the issue of the Eurovision Song Contest should be addressed to the Prime Minister's Office. In the meantime, a source close to the issue told TheMarker that security costs are expected to be eventually financed in amount of NIS 7 million, which will be shared between the Ministries of Finance, Internal Security, Communications, Tourism and the Broadcasting Corporation. However, so far there has been no clear directive on the matter, and the ministries mentioned say they are not yet familiar with the plan being formulated. Security is far from being the only issue that has not yet been resolved. The Eurovision Song Contest will take place on Saturday night, and the dress rehearsals are scheduled for Friday and Saturday afternoon - days when public transportation in Tel Aviv, as in most of Israel, does not work. How will the ticket purchasers come to the Expo to watch the event, and how will they return from the exhibition area to Tel Aviv? There is no response to this question. In recent months, an intensive dialogue has been held between the Transportation Ministry and the Tel Aviv municipality on the question of who is supposed to finance shuttle buses or any other means of transportation to solve the problem, but the parties have not been able to reach an agreement. Tel Aviv municipality spokesman Gidi Shmerling, who was appointed to be responsible for the city's Eurovision involvement, is trying to calm things down saying there is a dialogue with the Ministry of Transportation, and in the bottom line there will be no situation in which a tourist will not have a way to return to central Tel Aviv after the show. When queried by TheMarker, the Transportation Ministry declined to respond to the issue of Shabbat. Instead, it boasted plans to add extra bus and train service to the Tel Aviv Expo fair grounds and a new line (445) from Ben-Gurion International Airport to Tel Aviv hotels as well as services in English. At the airport, information stands will be set up for the tourists, which will provide a special map detailing the service lines in the Tel Aviv metropolis, the signage at the bus stops and in the buses of the main service lines will also be in English. As for Eurovision tourists, early estimates were of 14,000 to 18,000, a number that officials connected to the song contest have cut to 10,000 due to high ticket and hotel prices. That's tiny, relative to Israel's 4.1 million foreign tourists last year. "In terms of the number of foreign tourists, it's a nice event, but it doesn't make a big difference," Tourism Minster Yariv Levin said last week. "Its big importance is that the events can be a lever for major marketing, especially toward the European countries." . Despite this, the Tourism Ministry has not yet launched a marketing campaign for the Eurovision contest in Europe, and only said they are expected to do so. Shmerling claims that the municipality enjoys the full cooperation with all governmental bodies. "For us, the Eurovision Song Contest is a lesson about how to deal with an event of this magnitude, and the municipality, its subsidiaries and government ministries are learning how to deal with a major international event, and every little thing will get exposure - for better or for worse. And I believe that the tourist experience of those who will come to Tel Aviv the day after the Eurovision Song Contest will be better, because we are all learning and improving, and the infrastructure that is currently being established is a national long-term infrastructure. " The Tourism Ministry also said that "in preparation for the Eurovision Song Contest, the ministry and the Tel Aviv municipality are conducting training workshops for tourist service providers, including rescuers, market merchants, taxi drivers and the like." Apart from the number of tourists, the number of journalists who will attend the event - a record of 1,500 officially accredited journalists which is more than they were on Obama's visit or the Pope's visit - is significant, and the duration of their visit to Israel is about 10 days. However, in response to the question of how the Ministry of Tourism intends to leverage their arrival, the ministry claimed that at this stage there is no agreement on the issue and refrain from announcing any plan to accompany the journalists and show them what Israel has to offer in order to report it to the public in their countries. At present it is only known that The Government Press Office is preparing a program for journalists called "Israel beyond the conflict," and Tel Aviv is laying on free admission to museums and the cultural institutions. The controversial Israeli Eurovision related TV series "Douze Points" will be broadcasted only after the Eurovision in Tel Aviv, despite the strong opposition of the Israeli Broadcasting Corporation, Eldad Koblenz, to give in to the French threats. After the French Broadcaster expressed outrage at the Israeli series "Douze Points", on the request of the European Broadcasting Union it was agreed to postpone its broadcast, reports Ynet. Three part comedy drama speaks about a gay French singer of Muslim origin who represents France in an international song contest. As part of the story, the singer was blackmailed by the Da'ash organization and had to deal with a homophobic terrorist and Mossad agents. In a harsh letter sent by the media director general of the European Broadcasting Union to the chairman of the KAN council, Gil Omer, it was claimed that the broadcast of the series in Israel could have significant security, political and legal implications, and that its broadcasts will go contrary to agreements between the corporation and the union. The EBU has made a requirement to avoid any danger to the organization of the contest in Israel. Ynet previously reported that original dissent came from the France Televisions which sent threatening messages to KAN, according to which if the series will be broadcast before to the Eurozone, they will withdraw from the competition. Following the storm that broke out as a result of the publication, French broadcaster stepped back publicly saying it was just "a lot of commotion about nothing". "We expect the host broadcaster to respect the sensitivities and interests of all the representatives in the contest and protect the image and reliability of the competition itself, and we believe that the production in question is not only a potential threat to the image and security of the EBU, it has serious ramifications that can affect the EBU, its members and the non-political nature of the event", stated EBU representatives in their comment, adding they hope to reach satisfactory solution to the issue. Additional information: Event page. Videoblog of Czech Head of Delegation Jan Frost Bors from the Heads of Delegations meeting, where he reveals that this year there will be "a new experience of results, how we will see the results on TV, more dramatic"
Backing vocals team for Kobi Marimi has been revealed: Maayan Bukris, who was on stage with Netta Barzilai, Ofree Israeli, Yossi Mark, Liron Nathan Levo, and Lera Axelrod. 27 years old Ofree Israeli comes from Ramat Gan, he is singer, composer and arranger. He has a recording studio and he works with bands and singing groups. He served in the Northern Command Ensemble and in the past was also backing vocalist to Moshe Peretz. 23 years old Yossi Mark, from Hashmonaim. Writes, composed and sang from the age of 10 in groups of children and youth. He served in the military and now performs in a wedding ensemble. 26 years old Lera Axelrod immigrated from Uzbekistan and lives in Kibbutz Dan. She served as a singer in the Navy Company. Today Lara manages productions and mixes, in addition to being a singer. 28 years old Liron Nathan Levo has been singing since the age of 14 in an urban youth group in Tirat Hacarmel and an entertainment team in Eilat. He served in the Central Command band and the Israel Air Force. 26 years old Maayan Bukris comes from Tel Aviv. She has started writing and composing from an early age. She served in the Education Corps, and for three years was part of the musical group Voca People. Today she is Muki's backing vocalist. In addition, she was Netta's backing singer in the Eurovision Song Contest 2018. Duncan Laurence interview to KAN 11 and Reshet 13 in Tel Aviv. One of the Eurovision delegations became the victim of scam operation. Cheaters, posing as hotel representatives were able to fraudulently withdraw funds from the delegation. It is believed that they were not Israelis. The delegation has received an email invoice for payment of € 17,600 from an e-mail address posing as one of the hotel chains in Israel, from which they have booked the hotel rooms for the contest in May. In reality, this was not the real e-mail of chain of hotels, and the money was transferred to an account outside of Israel. The e-mail was almost identical to the address of the hotel the delegation had corresponded before - all what was different was the order of two letters, while the names of the people in correspondence remained the same. In the forged correspondence, the delegation was told that while they had transferred money, the amount had not been received to the bank account and they had to deal with it. Later they were also asked to change the name of the beneficiary from the hotel name to the name of a private person. Bank account details were not Israeli. But all this did not arouse the suspicion of the representatives of the delegation, and they continued to deal with that and even transferred the money to the foreign bank account in the name of a private individual. Last Friday, the head of the delegation noticed that the hotel had too many strange demands and has approached the host broadcaster KAN. The representative of KAN suspected that this was fraudulent and went to the hotel chain. In the first stage, an examination was conducted with the personnel, and it took little time to understand that this was a forgery. As soon as the discovery of the forgery was made, an inquiry was made to the Police cyber unit that opened the investigation, and at the same time an examination was made as to whether other delegations had fallen victim to the scam. The findings at the moment suggest that no other delegation has fallen victim to the similar. It is reasonable to assume that the goal was specifically for this delegation and not an attack against the Eurovision Song Contest. The source of the offense is in the country of the delegation and not in Israel, and the sum was quickly located in the suspect's bank account and returned to the delegation. Only last week, all the heads of the Eurovision delegations came to Israel and heard a lecture from a representative of the cyber network who warned them about just things. Norwegian MGP will be expanded with five semifinals. Show turns 60 in 2020 and it will be celebrated with full six Saturdays with Norway's largest music show. - We turn on the big drum when we are going to mark the anniversary of MGP. In connection with the 60th anniversary, we offer five introductory semifinals, and one big finale, says MGP general Stig Karlsen. The MGP shows will be broadcast from Oslo, but with a great focus on artists from all over the country. Each region receives its own program, with artists who will represent Northern Norway, Central Norway, Western Norway, Eastern Norway and Southern Norway. There will be plenty of local presence in the form of features and direct reporting from the region. - We are really looking forward to conveying great music involvement from all over the country, says Karlsen. Norwegian TV viewers decide which five artists will continue from the five semifinals, and a jury led by the MGP General will have the task of finding the five other artists for the big final. The Norwegian public votes will ultimately decide which of the ten artists will win the big final, and get the gold ticket for the Eurovision Song Contest. - We are now looking forward to preparing for a proper marking of the 60th anniversary next year, says Karlsen. Although the confetti has barely settled for this year's final, the open registration of songs for next year is underway. The deadline for submitting next year's MGP hit is May 17th. In addition to preparing for next year's competition, there is also full preparation ahead of the Eurovision Song Contest in May. After great success in this year's MGP final with over 230,000 votes , KEiiNO is ready to represent Norway in the ESC in about two months. Since the Norwegian-Sami trio won, they ended up in third place on the VG list and got over two million streams on Spotify. Now a tour in Europe is coming ahead of the final. So far, it is announced that they will visit Amsterdam on April 6, Madrid on April 20 and London on April 14. - Our goal is that Norway will get the most points in Tel Aviv. I think we will increase the chances of us recruiting new fans around the European cities, says Tom Hugo. Finnish broadcaster YLE has revealed planned schedule of the Eurovision 2019 coverage. 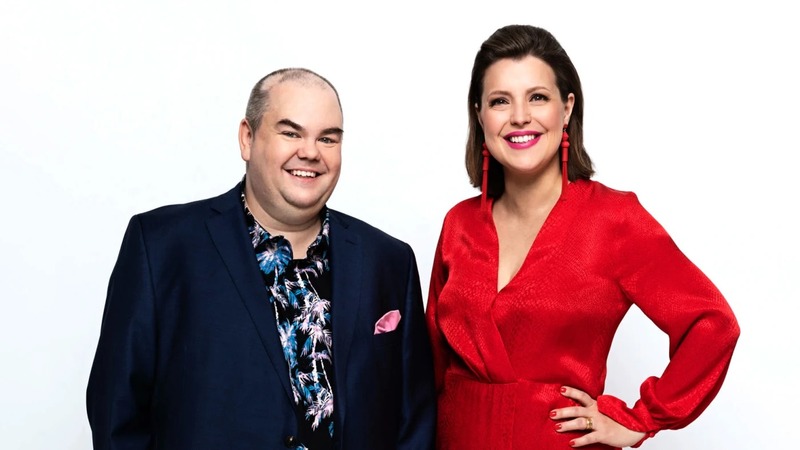 Finnish-speaking commentator of all shows will be Mikko Silvennoinen and Swedish commentary will be provided by Eva Frantz and Johan Lindroos. Preview show "De Eurovisa" will be aired every Friday starting on 5 April at 18:30 on Yle Teema & Fem and 21:50 on YLE TV2, and hosted by Eva Frantz and Johan Lindroos. Guests of the show will be: 30-year-old actor and UMK co-host Christoffer Strandberg, 37-year-old musician Kjell Simosas (Bob Malmström), 27-year-old artist, X Factor winner Tika Sevón-Liljegren, 30-year-old composer Andrea Eklund, 27-years old linguist Maïmouna "Maï" Jagne-Soreau, and 38-years old musician and actor Markus Lytts. 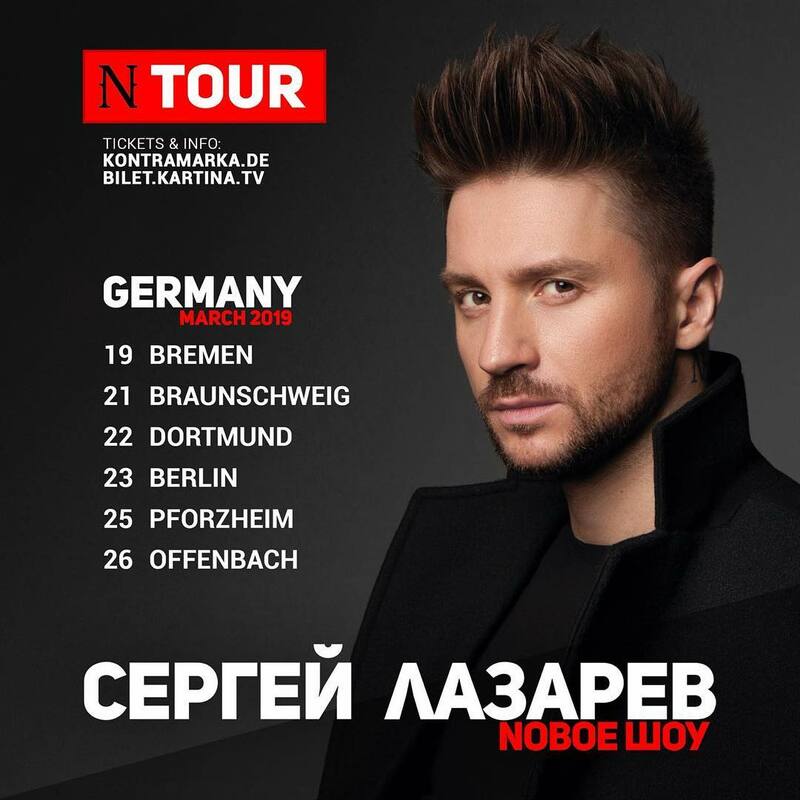 Representative of Russia Sergey Lazarev starts his tour in Germany and German Eurovision team gives a chance to win tickets to his concerts in Braunschweig (March 21), Dortmund (March 22), Berlin (March 23), Pforzheim (March 25) and Offenbach (March 26). If you want to win tickets answer five questions quiz. Deadline to enter is 2pm on the day before the show. Participants should be aged 18. Finnish entrants Darude and Sebastian Rejman, who came to Israel to record their postcard, spoke to Shani Nachshoni of KAN.
"I think the song is a little bit different than a typical Eurovision song", says Sebastian. "I think our has a bit more chance to stand out. We want to be unique of course", Darude adds. They are looking forward their Eurovision experience. Sebastian says, "I've heard it's once in a lifetime kind of journey and the experience you won't forget, so I wanna see the whole thing come up - the show, the stage - I think it's gonna be crazy", while Darude calls Eurovision people both on a fan side and organizing side crazy, in the positive way of course. It seems that Finnish duo will not dance in their postcard, but will do the rhythmic gymnastic elements with ribbons. "We've said a hard no on that [the dancing]. I think we do our own kind of dancing when we perform, but that what comes out naturally", says Darude. "I think I have the title of the Worst dancer in Finland, so it is good that we won't dance", laughs Sebastian. "Outside the hall". Host broadcaster KAN has launched series of programs, devoted to the countries taking part in the Eurovision 2019. Episodes will be available on Youtube with English subtitles. In the first episode, host of the contest Lucy Ayuob will tell about Albania. The tent city that was supposed to be constructed in Ganei Yehoshua park in Tel Aviv has been cancelled. No companies have applied to take part in the tender released by the Tel Aviv municipality two months ago. An attempt to build a temporary camping site in cooperation with the Israel Nature and National Parks Protection Authority also was impossible to realize. The terms of the tender demanded, among other things, that the turnover of the bidder be at least NIS 2 million a year, and that it produced and organized at least three ongoing events for more than 1,000 people; Or alternatively to have an accommodation site that accommodates at least 300 people at night. The Tel Aviv Municipality responded by saying that "the Tel Aviv-Jaffa municipality is working to create an extraordinary experience for the tourists who will arrive in the city of Eurovision. Unfortunately, the tent city initiative did not succeed because of the lack of response to the tender. We are working on other solutions which will make it easier for tourists to enjoy the activities and events the city will be offering. " Another tent city was planned to be built on the coast in Rishon Letzion, but the idea was shelved even before the decision of Tel Aviv municipality, report Globes. According to newspaper Yedioth Ahronoth, the number of tourists arriving to Tel Aviv will be considerably lower than initial expectations, and in fact there still are plenty of hotel rooms available. Original claims were that about 20,000 tourists will arrive to the contest, while Tel Aviv can offer just 12,000 hotel rooms, and May is already considered a month with high occupancy. "It was simply unnecessary hysteria," explains Shmuel Zural, who previously served as deputy marketing director at the Tourism Ministry and as director general of the Israel Hotel Association. "In the past, there was no event in which Tel Aviv would have been unable to provide necessary amount of rooms, and this time there will be no one who will not be able to get there because of that reason, they has such hysteria and even talked about ships that would become floating hotels. There was a clear interest to create impression of the lack of accommodaton, which resulted in raising prices. But the truth will become clear when reservation period will come to an end and people will have to pay, they will start releasing reserved rooms in numbers". "The only way to predict the number of tourists is according to the figures that have reached the cities in which the Eurovision Song Contest took place over the last five years," says Eytan Schwartz, CEO of Tel Aviv City and World Tourism. You look at how many tourists have come to Lisbon or Vienna, where the halls were much larger, and that's why we make an estimate. According to what was there, it was estimated that 15,000 people would arrive. "In my opinion, 10,000 is a reasonable estimate, but even that number is not sure, because Tel Aviv is a distant destination for a large part of the Eurovision audience, and the flight-accomodation-ticket components make it an expensive destination"
Belgian representative Eliot does not mind that he is currently the underdog and not the favorite. "I can surprise everyone," he says to Songfestival.be. 'I am a perfectionist, but not when it comes to school. My dream is to develop a music career, but if that doesn't work out, I will continue to study, "he says honestly. "I had a fear the fans would not like my song. But now I am happy with the many positive responses. I have not received a single negative message. The song comes from our with Pierre hearts. With Wake Up we want to bring a message of hope. That's why the song sounds dark and mysterious in the beginning, but in the end it gets different, hopeful, dynamic. I know that many expect a climax at the end. Well, we're going to do that on stage in Tel Aviv.". "I'm not just going to stand on stage, but our act doesn't need six people. We will use the screens on stage. No worries: Sony Music, RTBF and my team know very well that we have to put something incredibly powerful on stage. We want to ensure a great show and we are working hard on that!". He ensures, they will not repeat the mistakes of last year's entrant Sennek: "I know that Sennek did not make it to the final last year and that many did not think the act of Belgium was good enough. The fans should not be afraid that the same thing will happen to me. The images in my music video are very dark, but we will do that differently in May. There will be much more light on stage.". His outfit will be something that will show his personality. Eliot also says that he usually wears glasses, but he has to take the off on stage, and it helps against the stress as he can't see very far. Eliot assures that he has a voice in everything - for example he had some different suggestion for the music video and adjustments were made. But he listens to advices of Pierre Dumoulin, Jean-Jacques Marotte (who also did the stage lighting of Blanche in 2017) and his manager Filip, as well as teams of Sony and RTBF. "I see the role of underdog as an advantage. That way we can surprise everyone. I had already heard that people put money on the countries they think will win, but I don't follow it". Asked about entry of Iceland, Eliot says he found it very strange. "It reminds me of Lordi. It's great that anything is possible at the Eurovision, so they can certainly be there. Do they convey a political message? (surprised) I don't know anything about that. It is their good right to do that, but I personally think that you should not combine music and politics. That's not for me." In Israel he will be joined by his parents, but not girlfriend, who also still studies at school and would rather not get attention. After the Eurovision, his follow-up single will be release, which also was composed by Pierre Dumoulin and submitted for RTBF consideration. Israel Hayom: После изнурительных переговоров Мадонна все-таки выступит на конкурсе песни Евровидение 2019 в Тель-Авиве. Переговоры с певицей начались несколько месяцев назад и после принципиального согласования стороны начали работать над организацией ее выступления. Позже были обнаружены некие художественные трудности, поскольку содержание одной из песен, которую Мадонна намеревалась исполнить, по-видимому, новой песни, было политическим, и поэтому Европейский вещательный союз отказался одобрить ее. Неизвестно, будет ли в конце-концов Мадонна исполнять эту песню. Шоу Мадонны стоимостью более 1 миллиона долларов будет финансироваться бизнесменом Сильвеном Адамсом. Если не произойдет никаких изменений в расписании, Мадонна приземлится в Израиле 15 мая и выступит в финале конкурса. Издание также подтверждает, что Элени Фурейра, Кончита Вурст, Монс Зелмерлёв и Верка Сердючка будут выступать в шоу в дополнение к израильским победителям и бывшим участникам. "Это очень частый вопрос, и часто его задают. В основном, конечно, много слухов, какой-то неправды, много стращают. Евровидение проходило в нашей стране в 2009 году, фаны Евровидения тоже думали как это, приехать в Россию. Приехали, получили удовольствие, наелись икры и уехали дальше". На вопрос о безопасности конкурса в Израиле, певец ответил: "Ну вы мне уже все так говорите, журналисты, что я уже начинаю запариваться. Все будет хорошо, надо думать позитивно". На следующей неделе представитель Литвы Юриюс отправится в Тель-Авив на съемку своей открытки. Глава делегации Аудрюс Гиржадас рассказал о подготовке к конкурсу на шоу Labas rytas, Lietuva. "Юриюс много работает - он поет, репетирует, работает в тренажерном зале, у него все еще есть ежедневная работа в IT-компании, поэтому подготовку к Евровидению нужно координировать", - говорит Аудрюс Гиржадас. По словам Гиржадиса, Юриюс не изменит свое сценическое выступление - на большой сцене Евровидения не будет танцоров или львов. "Все будет так же, как на национальном финале, но более впечатляюще. Если все будет так, как мы планируем, возможности сцены будут использованы максимально", - заверил Гиржадас. Говоря о лидерах, появившихся перед конкурсом, Гиржадас отметил представителя Нидерландов. По его словам, у Швеции и России также много поклонников. "Поклонники Евровидения оценили очень искреннюю португальскую песню, которая полностью не в формате. Но есть много разных мнений фанатов, и некоторые из них включают в себя и песню Юриюса". Отныне песни всех участников этого года будут представлены на каждом шоу "Labas rytas, Lietuva", презентация стартовала с Албании. Несмотря на формальное соглашение о финансировании безопасности вокруг Евровидения в Тель-Авиве, правительственные министерства еще не взяли на себя обязательство покрыть все расходы полиции. В результате все работы над безопасностью для Евровидения 2019 были заморожены. Несмотря на соглашения, уже достигнутые с правительственными министерствами, Министерство общественной безопасности поручило полиции не начинать подготовку к обеспечению безопасности конкурса Евровидение, поскольку правительственные министерства еще не взяли на себя обязательство выплатить свою долю. Европейский вещательный союз обеспокоен и требует решений. По их словам, многие делегации, участвующие в конкурсе, уже представили запросы, связанные с безопасностью. Корпорация общественного вещания также взбешена ситуацией: генеральный директор Эльдад Кобленц обратился к генеральным директорам соответствующих министерств и дал им понять, что, если подготовка полиции не начнется завтра утром, существует опасность, что подготовительная работа не будет закончена вовремя. "Мы срочно хотим предупредить, что, если эта работа не начнется уже завтрашним утром, существует реальная опасность, что мы не сможем завершить подготовительные работы в установленный срок", - написал Кобленц в письме. "Боссы Европейского вещательного союза были проинформированы о ситуации и относятся к ней очень серьезно, и обеспокоены тем, что израильское правительство, вопреки своему явному обязательству, не берет на себя ответственность и участие в проведении конкурса песни Евровидение". "Мы просим все соответствующие стороны найти немедленное решение кризиса, чтобы позволить начать работу уже завтра утром и предотвратить дальнейший ущерб прогрессу проекта. Вещательная корпорация уже была вынуждена финансировать все расходы на мероприятие, несмотря на обещания официальных источников в Государстве Израиль выделить государственный бюджет на Евровидение"
Майкл Райс, представитель Великобритании на Конкурсе Песни Евровидение 2019, исполнил свою песню "Bigger Than Us" на шоу Zvijezde pjevaju на HRT1 в Хорватии в прошлую субботу вечером. Это первый раз, когда Майкл исполнил "Bigger Than Us" с момента победы на Eurovision: You Decide в феврале. Майкл говорит: "Я очень рад выступить на хорватском телевидении с моим первым исполнением "Bigger Than Us" после Eurovision:You Decide. Я очень усердно работал на репетициях, чтобы убедиться, что выложусь на сцене для всех моих замечательных хорватских фанатов. Я действительно с нетерпением жду встречи с Роко в первый раз, я думаю, что он потрясающий артист и исполнитель, и его песня просто фантастическая!". Эндрю Картмелл, исполнительный продюсер и глава делегации Великобритании, говорит: "Мы очень рады, что в преддверии Тель-Авива Майкл Райс будет путешествовать по Европе, чтобы продвигать свою песню "Bigger Than Us". В этом году Майкл посетит еще больше пре-пати Евровидения, продвигая свою песню в Лондоне, Амстердаме, Мадриде и Москве, а за его появлением на HRT1 в Хорватии в эти выходные последуют другие теле- и радиопередачи в Великобритании и континентальной Европе. Мы очень гордимся этой песней, и вся команда очень взволнована, чтобы ее услышало как можно больше людей, прежде чем Майкл выйдет на сцену в Израиле". "Мики и друзья": RTVE.es готовит грандиозную вечеринку в честь испанского участника Евровидения-2019. Он разделит сцену с "La Pegatina", «Taburete", Софией Эллар, "Arnau Griso" и собственной группой "Dalton Bang". Альфред, представитель 2018 года, также споет с Мики на этой вечеринке. Концерт, который будет транслироваться в мае на RTVE.es, объединит самую успешную современную испанскую поп-музыку с такими жанрами, как ска, румба, чаранга и авторская песня. Заинтересованные фанаты могут приобрести билеты на концерт в Torrespaña в следующий понедельник, 8 апреля, с 10 до 14 часов, и с 4 до 8 вечера. Запись концерта будет проходить в Прадо-дель-Рей, в среду, 10 апреля, с 15:30 до 20:30. Сегодня стало известно, какое усовершенствование процесса презентации голосов, ранее анонсированное главой делегации Чехии Яном Борсом, будет применено на Евровидении 2019. После окончания оглашения результатов голосования жюри, ведущие начнут оглашать результаты голосования публики со страны, занявшей последнее, 26е место в голосовании жюри. Далее будет объявлены баллы, которая публика дала стране, занявшей 25е место в голосовании жюри. Таким образом, оглашение результатов голосования публики завершится оглашением баллов той стране, которая стала победительницей в голосовании жюри. Это изменение не повлияет на подсчет голосов на конкурсе, но призвано сделать процесс оглашения результатов более драматичным и сохранить напряжение до самой последней секунды. Информация была подтверждена Европейским Вещательным Союзом. Marie Nordmark Sjöström пополняет состав бэк-вокалистов Сергея Лазарева на Евровидении 2019. Мари тоже не новичок на конкурсе - в 2017 году она вместе с Йенни Йанс была задействована у Азербайджана. Она принимала участие и в Мелодифестивалене, где опять же вместе с Йенни была задействована в номере Уве Тёрнквиста. "Мы рады, что открытки представляют большой интерес и уверены, что они продемонстрируют всему миру разнообразие интереснейших мест в Израиле. Конкурс песни Евровидение никоим образом не является политическим мероприятием"
Мики споет "La venda" перед отключением света в "Час Земли". Представитель Испании выступит на Plaza de Oriente, чтобы повысить осведомленность об изменении климата. RTVE снова присоединяется к "Часу Земли" - инициативе по устойчивому потреблению, энергосбережению и изменению климата, в которой примут участие миллионы граждан, правительств, учреждений и организаций по всему миру. По этому случаю Мики Нуньес, представитель Испании на Евровидении 2019, будет послом телекомпании и споет "La venda" на концерте перед отключением света, которому WWF даст старт в эту субботу на Plaza de Oriente в Мадриде, между 20:30 и 21:30. Мероприятие в пользу окружающей среды будет вести Тони Агилар, комментатор Евровидения-2019. RTVE, в дополнение к выключению света в своих штаб-квартирах в Мадриде и Барселоне, усиливает акцию информационной кампанией, которая начнется завтра, и которая требует, чтобы "мы были ответственны за использование пластика". Известно, что съемки четырех участников конкурса, включая представителя Израиля Коби Мерими и представителя России Сергея Лазарева пройдут в примечательных местах Иерусалима. Так, съемки Мерими назначены около Стены Плача, а работа над видео Сергея Лазарева, скорее всего проходит в Старом городе. Как сообщает Eurovision Fun, на съемках открытки Сергея Лазарева произошел неприятный инцидент, приведший к временной приостановке съемок. Травму получил израильский дублер Сергея, который исполнял некие опасные трюки. 1го апреля представитель России выступит в Афинах в рамках музыкального шоу моды Madwalk. Российский исполнитель не будет принимать участия в предконкурсных промоционных вечеринках Евровидения. В Тель-Авиве нет общественного транспорта в шабат? Муниципалитет предлагает решение: пользуйтесь скутерами. Муниципалитет обратился к операторам проката самокатов с просьбой установить специальные тарифы на дни конкурса с 12 по 18 мая 2019 года. "Проведение Евровидения в Тель-Авиве это вызов для всех нас, и одна из основных проблем - вопрос с транспортировкой", говорит Мейтал Леави, заместитель мэра Тель-Авива по вопросам безопасности и дорожного движения. "Мы обратились ко всем партнерам в поисках сотрудничества и решения проблем. Мы будем продвигаться инициативы по использованию личных средств передвижения, таких как велосипеды и скутеры, для которых выделены парковочные места и зарядные устройства. Нам нужно использовать все способы обеспечить выезд публики после проведения концертов в Экспо-центре. В то же время, касательно обычных рабочих дней, мы ведем переговоры с министерством транспорта над увеличением движения городских маршрутов". Объявлены финалисты конкурса Afrimusic 2019. Гана лидирует с 5 артистами, которые вышли в финал из числа 16 песен, которые участвовали в национальном отборе. За ней следуют 4 южноафриканских песни, дошедших до финального этапа, 3 песни из Нигерии и 2 песни из Королевства Эсватини. По 1 песне из Малави, Руанды и Мозамбика представят свои страны на самой ожидаемой музыкальной платформе конкурса в Африке. Afrimusic с гордостью представляет мощный список из 20 лучших песен и исполнителей. Кто заберет трофей к себе домой? К сожалению, Сенегал, Южный Судан и Конго были исключены из конкурса, поскольку представляющие их артисты не набрали достаточно высокого балла, чтобы квалифицироваться в его финальную часть. Певица из Кот-д'Ивуара DS Cynthia стала первым возвращающимся артистом AfriMusic: она принимала участие в 2018 году в составе проекта CCI Studio Orchestre Meets DS Cynthia, Fabému, Masta Ricky & Papson D.C.
Лучшие 20 участников были отобраны по системе рейтингового голосования, где каждому участнику присуждается два набора по 12, 10, 8-1 баллов. 50% голосов было подано профессиональным жюри AfriMusic, а остальные 50% - результат публичного онлайн-голосования на веб-сайте конкурса. Обе оценки были объединены и подсчитаны по методу 50/50. Участники, набравшие наибольшее количество баллов в своих регионах, прошли в финал конкурса AfriMusic. Эта система голосования во многом схожа с системой Евровидения и применяется для Конкурса песен AfriMusic с момента его первого проведения в 2017–2018 годах. В Западной Африке были отобраны 10 лучших участников, в Центральной и Восточной Африке - 2 лучших участника, а в Южно-Африканском регионе - 8 лучших участников. Это квоты были выделены на основе количества участников, подавших заявка в каждом регионе, предлагая справедливое распределение для всех кандидатов. Голосование в финале конкурса AfriMusic откроется в полдень по московскому времени в пятницу 29 марта 2019 года и продолжится до 3 часов утра 13 апреля 2019 года. Предел голосования на человека будет ограничен 250 голосами в день, и голосующие должны будут заранее зарегистрироваться, чтобы голосование было максимально справедливым, и боты не могли манипулировать его процессом. Проголосовать и получить дополнительную информацию о конкурсе вы можете на www.afrimusicsongcontest.com. "Мы хотели бы поблагодарить каждого артиста за то, что он поделился своим талантом с остальной Африкой и всем земным шаром через нашу платформу Конкурса песен AfriMusic. Мы безмерно гордимся талантом, трудолюбием и настойчивостью каждого артиста. Мы хотим оказывать позитивное влияние и объединять Африку в целом и побуждать артистов из всех слоев общества демонстрировать свое искусство. Тех, кто не смог попасть в финал, не следует недооценивать, поскольку их талант был замечен, и интерактив на наших платформах социальных сетей является истинным отражение того, как далеко может продвинуться их работа. Мы также хотели бы призвать их продолжать упорно пытаться снова. Если этот конкурс что-то доказал - то это то, что уровень таланта в Африке, которому просто необходима платформа для демонстрации их способностей. Мы с нетерпением ждем результатов финала, чтобы узнать, кто станет следующим победителем AfriMusic Song Contest," - говорит Сьюзи Висенте, директор по развитию бизнеса конкурса AfriMusic. Конкурс песен AfriMusic - это крупнейшая музыкальная соревновательная платформа в Африке, предоставляющая равные возможности для новых музыкальных талантов из всех стран континента. Конкурс песен AfriMusic направлен на обучение, расширение прав и возможностей и предоставление возможностей начинающим авторам песен, композиторам и певцам со всей Африки путем создания позитивного и уверенного образа Африки в единстве посредством музыки, вокруг всего континента и на международной арене. Африканцам, стремящимся продемонстрировать свои таланты и представить свою страну своими музыкальными начинаниями, была предоставлена ​​возможность принять участие и выдвинуть свои песни. В 2018 году Symphony из Королевства Эсватини одержала первую большую победу со своей песней Sengikhona, и организаторы конкурса с нетерпением ждут возможности увидеть, какой артист и страна получат титул в 2019 году. AfriMusic наградил Symphony поездкой в ​​столицу Португалии Лиссабон, где она выступила в Евродеревне перед 20 000 зрителей, и ее выступление транслировалось в прямом эфире 186 миллионам зрителей национального вещателя RTP. "Поездка прошла с огромным успехом и продемонстрировала поддержку конкурсу AfriMusic, и, что более важно, любовь к нашему победителю - Symphony, это было даже больше, чем мы могли надеяться. Это настоящее отражение трудной работы, которую вкладывают организаторы и артисты, и того, что мы - африканцы, жаждем возможности изменить жизнь талантов в Африке", говорит управляющий директор конкурса AfriMusic Мишель Фернандес. KAN опубликовал интервью с португальским участником Конаном Осирисом, который в настоящее время находится в Израиле, чтобы снять свой посткард. "В моей песне Telemóveis я пою, что я сломал свой мобильный телефон, пытаясь дозвониться до небес, просто чтобы посмотреть, жива ли еще 'saudade' (это определенное португальское слово, которое означает что-то вроде 'тоски', о том, кого вы любили), и в конце истории я говорю, что знаю, что 'saudade' мертва, и именно я выстрелил в нее эту стрелу"
"Я вижу множество реакций, когда люди испытывают эмоции еще до того, как переводят текст песни. Поэтому, если они чувствуют, то что я хотел передать через песню, это прекрасно"
Отвечая на вопрос о его реакции на возможные сирены в Тель-Авиве, Осирис говорит: "Я не слежу за новостями, у меня даже дома нет телевизора", а глава делегации Карла Бугальо добавляет, что никто в отеле не объяснял им, как вести себя в таком случае, и фактически они впервые слышат это от репортера. На письмо Роджера Уотерса музыкант отвечает только: "Это то, что вы видите. У каждого есть своя задача, верно?". Йоци Папай выиграл A Dal 2019 со своей песней "Az én apám" (Мой отец), которая рассказывает об очень личных и глубоких отношениях между Йоци и его отцом. Эти отношения отца и ребенка планируется отразить на сцене Евровидения, и для этого нужна ваша помощь. Пожалуйста, пришлите одну или несколько фотографий ваших отцов, на которые вы можете дать разрешение на использование на сцене и в других случаях, связанных с программой A Dal. Фотографии должны содержать только фото ваших отцов. Конечно, отцы тоже могут подать свое фото сами, не стесняйтесь присылать свои фото, если вы уже являетесь отцом! - если вам еще не исполнилось 18 лет, ваш законный представитель должен подписать ее. MTVA свяжется с авторами выбранных фотографий по электронной почте, чтобы заключить договор на использование. Интервью с представителем Великобритании Майклом Райсом во время съемок его открытки в Израиле. Райс говорит, что британская публика, как правило, очень критична к своим собственным заявкам, но "теперь я чувствую, что когда британцы действительно увидели песню, которая едет на Евровидение, они стали поддерживать меня". "Это безумие, потому что в Великобритании у нас есть Адель, The Beatles, Сэм Смит, и потому что мы не выигрывали так долго, поэтому они хотят этого еще больше, так что это просто для того, чтобы доказать - мы все еще можем сделать это. У нас хорошая песня, поэтому скрестим пальцы". На вопрос о протестах по поводу бойкота Райс ответил: "Евровидение - это исключительно музыка, и речь не должна идти о политике и обо всем, что происходит, я действительно не тот, кто должен выступать по этому поводу, я певец - я просто должен выступить так, чтобы страна гордилась мной". Радиоведущий Тони Агилар и журналист RTVE Хулия Варела будут комментаторами Евровидения-2019 для испанской телекомпании RTVE второй год подряд (для Хулии это будет пятый конкурс в общей сложности). В качестве помощника комментаторов снова будет работать Виктор Эскудеро. Трио также было объявлено сегодня как ведущии Eurovision-Spain Preparty. Тони и Хулия проведут главное шоу, а Виктор с израильским певцом Имри - приветственное шоу в пятницу. Модель и ведущая Ньевес Альварес останется глашатаем Испании третий год подряд. Официальный представитель муниципалитета Тель-Авива Гиди Шмерлинг, который был назначен ответственным за участие города в организации конкурса, пытается успокоить ситуацию, говоря, что диалог с Министерством транспорта продолжается, и в итоге не возникнет ситуации, в которой турист после шоу не найдет возможности вернуться в центральный Тель-Авив. В ответ на запрос TheMarker министерство транспорта отказалось отвечать на вопросы о шаббате. Вместо этого оно похвасталось планами добавить дополнительные автобусные и железнодорожные перевозки до Тель-Авив Экспо и новый маршрут (445) от международного аэропорта Бен-Гурион до отелей Тель-Авива, а также услуги на английском языке. В аэропорту будут установлены информационные стенды для туристов, которые предоставят специальную карту с подробным описанием маршрутов автобусов в мегаполисе Тель-Авива, вывески на автобусных остановках и в самих автобусах основных маршрутов также будут сделаны на английском языке. Что касается туристов Евровидения, предварительные оценки были от 14 000 до 18 000, число, которое официальные лица, связанные с песенным конкурсом, сократили до 10 000 из-за высоких цен на билеты и проживание. Это крошечный показатель по сравнению с 4,1 миллионами иностранных туристов, побывавших в Израиле в прошлом году. "С точки зрения количества иностранных туристов, это хорошее мероприятие, но оно не имеет большого значения", - сказал министр туризма Ярив Левин на прошлой неделе. "Его значение в том, что оно может стать рычагом для крупного маркетинга, особенно в отношении европейских стран". Несмотря на это, Министерство туризма еще не запустило маркетинговую кампанию для конкурса Евровидение в Европе, и только заявило, что готовит ее. Шмерлинг утверждает, что муниципалитет активно сотрудничает со всеми государственными органами. "Для нас конкурс Евровидение - это урок того, как справиться с таким масштабным событием, а муниципалитет, его дочерние компании и правительственные министерства учатся тому, как справляться с крупным международным событием, и каждая мелочь получит освещение - к лучшему или к худшему. И я считаю, что туристический опыт тех, кто приедет в Тель-Авив на следующий день после Евровидения, будет уже намного лучше, потому что мы все учимся и совершенствуемся, а инфраструктура, которая в настоящее время создается - это национальная долгосрочная инфраструктура." Министерство туризма также заявило, что "в рамках подготовки к конкурсу песни "Евровидение" министерство и муниципалитет Тель-Авива проводят учебные семинары для поставщиков туристических услуг, включая спасателей, торговцев на рынке, водителей такси и т.п.". Видеоблог главы делегации Чехии Яна Борса со встречи глав делегаций. Помимо прочего, он сообщает, что в этом году будет применен "новый опыт демонстрации результатов конкурса в телеэфире, что сделает этот процесс более драматичным"
Стал известен состав бэк-вокальной команды, которая выступит на сцене Евровидения 2019 вместе с Коби Марими. В нее вошли Мааян Букрис, бэк-вокалистка Нетты Барзилаи, Офре Исраэль, Йосси Марк, Лера Аксельрод и Лирон Натан Лево. 27-летний Офре Исраэль из Рамат-Гана, певец, композитор и аранжировщик. У него есть студия звукозаписи, он работает с различными группами и вокальными коллективаи. Он служил в ансамбле Северных сил, а в прошлом также был вокалистом Моше Переца. 23-летний Йосси Марк из Хашмонаима. Пишет, сочиняет и поет с 10 лет в группах детей и молодежи. Служил в армии и сейчас выступает в свадебном ансамбле. 26-летняя Лера Аксельрод иммигрировала из Узбекистана и живет в кибуце Дан. Она служила певицей в военно-морской компании. Сегодня Лера занимается продюсированием и миксованием, а также является певицей. 28-летний Лирон Натан Лево поет с 14 лет в городской молодежной группе в Тирате Акармель и в развлекательной команде в Эйлате. Служил в Оркестре центрального командования и ВВС Израиля. 26-летняя Мааян Букрис родом из Тель-Авива. Она начала писать и сочинять с раннего возраста. Она служила в Корпусе образования и три года входила в музыкальную группу Voca People. Сегодня она бэк-вокалистка Муки. Кроме того, она была бэк-вокалисткой Нетты на Конкурсе Песни Евровидение 2018. Интервью Дункана Лоуренса телеканалам KAN 11 и Reshet 13. "Я был удивлен в начале, тому, что я стал фаворитом, ведь в самой Голландии я неизвестен. Нет, это не накладывает на меня никакого дополнительного давления. Если в конце произойдет изменение фаворита, то я уверен, что это будет сильный артист, и значит это то, чего хочет Европа". Норвежский MGP будет расширен пятью полуфиналами. Шоу исполняется 60 лет в 2020 году, и юбилей будет отмечаться шестью субботами с крупнейшим в Норвегии музыкальным шоу. - Мы готовим большой барабан, собираясь отмечать годовщину MGP. В связи с 60-летием мы предлагаем пять полуфиналов и один большой финал, говорит генерал MGP Стиг Карлсен. Шоу MGP будет транслироваться из Осло, но с большим акцентом на артистов со всей страны. Каждый регион получит свою собственную программу с артистами, которые будут представлять Северную Норвегию, Центральную Норвегию, Западную Норвегию, Восточную Норвегию и Южную Норвегию. Шоу будут носить региональный характер, и в них будут проводиться прямые включения из регионов. "Мы действительно с нетерпением ждем возможности привлечь большое количество музыкантов со всей страны", - говорит Карлсен. Норвежские телезрители решат, какие пять артистов выйдут из пяти полуфиналов в финал, а жюри во главе с MGP генералом должно будет найти пять других артистов для большого финала. Голосование норвежских зрителей в конечном итоге решит, кто из десяти артистов выиграет в финале, и получит золотой билет на Евровидение. - Сейчас мы с нетерпением ждем подготовки к надлежащему празднованию 60-летия в следующем году, - говорит Карлсен. Несмотря на то, что конфетти едва улеглись после финала этого года, регистрация песен на следующий год уже началась. Последний срок подачи хита на MGP следующего года - 17 мая. В дополнение к подготовке к конкурсу 2020, также полным ходом идет подготовка к Евровидению 2019 в мае. После большого успеха в финале MGP в этом году с более чем 230 000 голосов, KEiiNO готовы представить Норвегию на Евровидении примерно через два месяца. После победы норвежско-саамское трио заняло третье место в чарте VG listen и собрало более двух миллионов стримов на Spotify. Теперь им предстоит тур по Европе. Пока что объявлено, что они посетят Амстердам 6 апреля, Мадрид 20 апреля и Лондон 14 апреля. - Наша цель - чтобы Норвегия набрала наибольшее количество баллов в Тель-Авиве. Я думаю, что мы увеличим шансы набрать новых фанатов в европейских городах, - говорит Том Хьюго. Финская телекомпания YLE обнародовала запланированный график освещения Евровидения-2019. Финскоязычным комментатором всех шоу будет Микко Сильвенноинен, а шведские комментарии предоставят Ева Франц и Йохан Линдроос. Превью-шоу "De Eurovisa" будет выходить в эфир в каждую пятницу, начиная с 5 апреля, в 18:30 местного времени на Yle Teema & Fem и в 21:50 на YLE TV2, с ведущими Евой Франц и Йоханом Линдроосом. Гостями шоу станут: 30-летний актер и соведущий UMK Кристофер Страндберг, 37-летний музыкант Кьелл Симосас (Bob Malmström), 27-летняя певица, победитель X Factor Тика Севон-Лилегрен, 30 летняя композитор Андреа Эклунд, 27-летняя лингвист Маймона "Май" Ягне-Соро и 38-летний музыкант и актер Маркус Литтс. Представитель России Сергей Лазарев начинает свое турне по Германии, и немецкая команда Евровидения дает возможность выиграть билеты на его концерты в Брауншвейге (21 марта), Дортмунде (22 марта), Берлине (23 марта), Пфорцхайме (25 марта) и Оффенбахе ( 26 марта). Если вы хотите выиграть билеты, ответьте на пять вопросов викторины. Крайний срок подачи заявок - 14:00 за день до шоу. Участники должны быть в возрасте от 18 лет. Представители Финляндии Darude и Себастьян Рейман, которые приехали в Израиль, чтобы записать свою открытку, дали интервью телеканалу KAN.
"Я думаю, что наша песня немного отличается от типичной песни Евровидения", - говорит Себастьян. "Мне кажется, что у нас есть шансы выделиться. Конечно, мы хотим быть уникальными", - добавляет Darude. Оба артиста с нетерпением ждут конкурса. Себастьян говорит: "Я слышал, что это уникальный опыт, который бывает раз в жизни, и который невозможно забыть, поэтому я хочу увидеть, как все это происходит - шоу, сцена - я думаю, что это будет сумасшествие", в то время как Darude называет людей Евровидения, как cо стороны фанатов, так и со стороны организаторов - сумасшедшими, конечно же, в положительном смысле. Похоже, что финский дуэт не будет танцевать в своей открытке, а будет выполнять элементы ритмической гимнастики с лентами. "Мы твердо сказали нет этому [танцам]. Мы исполняем свои собственные танцы, когда выступаем, но это то, что получается естественно", - говорит Darude. "Я думаю, что у меня есть звание Худшего танцора Финляндии, поэтому хорошо, что мы не будем танцевать", - смеется Себастьян. "За пределами зала". Телеканал-вещатель KAN стартовал серию программ, рассказывающих о странах, принимающих участие в конкурсе Евровидение 2019. Программы доступны на Youtube с английскими субтитрами. В первом выпуске ведущая конкурса Люси Аюб расскажет об Албании. Муниципалитет Тель-Авива прокомментировал: "Муниципалитет Тель-Авив-Яффо работает над созданием наилучшего опыта для туристов, которые приедут в город Евровидения. К сожалению, инициатива палаточного городка не увенчалась успехом из-за отсутствия реакции на тендер. Мы работаем над другими решениями, которые позволят туристам получить максимальное удовольствие от мероприятий и событий, которые будет предлагать город". Представитель Бельгии Элиот не возражает, против того, что он в настоящее время является темной лошадкой, а не фаворитом. "Я могу всех удивить", - говорит он Songfestival.be. "Я перфекционист, но не в школе. Я мечтаю развивать музыкальную карьеру, но если это не сработает, я продолжу учиться", - признается он честно. "Я боялся, что фанатам не понравится моя песня. Но теперь я доволен многими положительными отзывами. Я не получил ни одного отрицательного сообщения. Песня исходит от наших с Пьером сердец. С Wake Up мы хотим принести посыл надежды. Вот почему песня звучит мрачно и загадочно в начале, но в конце она становится другой, обнадеживающей, динамичной. Я знаю, что многие ожидают кульминации в конце. Что ж, мы собираемся сделать это на сцене в Тель-Авиве. " "Я не просто собираюсь стоять на сцене, но для нашего выступления не нужно шесть человек. Мы будем использовать экраны на сцене. Не беспокойтесь: Sony Music, RTBF и моя команда очень хорошо знают, что нам нужно что-то невероятно мощное на сцене. Мы хотим показать отличное шоу, и мы усердно работаем над этим!" Он гарантирует, что они не будут повторять ошибки прошлогодней участницы Сеннек: "Я знаю, что Сеннек не вышла в финал в прошлом году, и что многие думали, что выступление Бельгии не было достаточно хорошим. Фанаты не должны бояться, что со мной случится то же самое. Картины в моем музыкальном видео очень темные, но мы сделаем это по-другому в мае. На сцене будет гораздо больше света". Его костюмом будет что-то, что покажет его личность. Элиот также рассказывает, что он обычно носит очки, но он должен снять их на сцене, и это помогает против стресса, поскольку он не может видеть очень далеко. Элиот уверяет, что у него есть право голоса во всей подготовке - например, у него было несколько других предложений для видеоклипа, и были внесены соответствующие изменения. Но он также слушает советы Пьера Дюмулена, Жана-Жака Маротта (который также занимался светом в номере Бланш в 2017 году) и своего менеджера Филипа, а также команд Sony и RTBF. "Я вижу роль темной лошадки как свое преимущество. Таким образом, мы можем удивить всех. Я уже слышал, что люди ставят деньги на страны, которые, по их мнению, победят, но я не слежу за этим". Отвечая на вопрос о представителях Исландии, Элиот отмечает, что их песня показалась ему странной. "Это напоминает мне Лорди. Здорово, что на Евровидении все возможно, так что они, безусловно, могут быть там. Они несут политический посыл? (Удивленно). Я ничего об этом не знаю. Это их право делать. Но я лично думаю, что нужно сочетать музыку и политику. Это не для меня". В Израиле к нему присоединятся его родители, но не девушка, которая также все еще учится в школе и не хотела бы привлекать к себе внимание. После Евровидения выйдет его следующий сингл, который также был написан Пьером Дюмуленом и представлен на рассмотрение RTBF.